Andrew O’Brian, chief executive of Corporacion Quiport - the company in charge of the administration, operation and maintenance of the Quito terminal area – explained: “After an initial period of adjustments to airport operations, the levels of service at the airport have continuously increased along with growth in passenger traffic and connectivity. 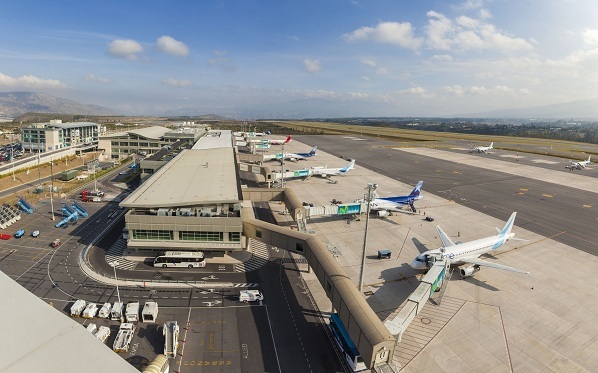 “Throughout these initial three years of operations the terminal area has undergone considerable development with regards to connectivity, operational efficiency and services to its passengers and users within the highest security standards of the industry. “These first three years of operations drive us to the future and confirm our clear vocation to service. Nine additional routes, four new airlines and nine additional flights and frequencies on already established routes is the result of intense management of route development carried out by Corporación Quiport. O’Brian emphasises that the main purpose of an airport is connectivity. “The airline companies have been our great allies in developing new routes and expanding flights and frequencies. “They are aware of the airport’s operational advantages. “The main beneficiaries of increased connectivity are the passengers who have more options to directly reach their destinations. “Furthermore, it also facilitates the arrival of foreign visitors to the country, thus encouraging tourism. New routes include flights to Buenos Aires, Sao Paulo, Mexico City, Fort Lauderdale, New York, Aruba, Dallas and Salinas, jetBlue and Inselair while airlines joining the roster include Aeroméxico, VivaColombia and Inselair. 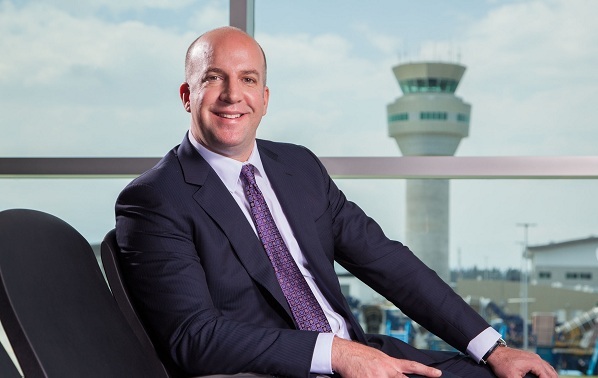 “The development of connectivity is accompanied by a philosophy of constant improvement in the variety and quality of the services that the airport delivers to its passengers and users,” explains O’Brian. Under the criteria to provide passengers with commercial offerings according to their interests and needs, the commercial area of Quito Airport constantly seeks opportunities to attract new shops and services. Currently the commercial offering at the airport terminal comprises 30 retail and service stores and 13 restaurants and cafes. Wide parking spaces, self-check-in kiosks, free high speed Wi-Fi at departure lounges, mobile phone charging points and a varied commercial, food and drink offering are some of the services that passengers will find at Quito Airport. And when combined with the unique landscapes of Ecuador and the warm service of our people, the airport is able to provide the best experience to the traveller. “We are always aware that Mariscal Sucre Airport is the first point of entry for tourists to the city and the country. “First impressions count and the image that we give to our visitors will be the first and final experience that they have in Ecuador,” adds O’Brian. Conceived from the start to become a true airport city, Quito Airport has experienced a significant growth in infrastructure. With investments in excess of US$100 million contributed by the shareholders of Corporación Quiport and by private companies who believe in the project, new complementary projects have been incorporated to the airport facilities, such as the Tabacarcen logistics center, the Quito Airport Center and the Wyndham Hotel. According to O´Brian, the growth of activities at the Quito terminal area is accompanied by growth in the airport population. 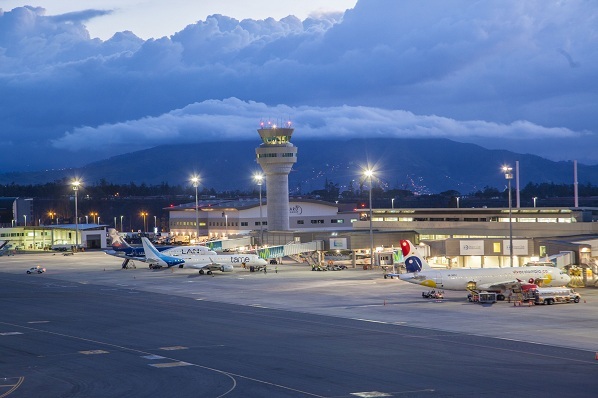 “When operations started, the airport and all the companies and institutions that provided services there had 5,800 employees and now there are currently more than 7,000 employees, making the airport an important creator of employment for Quito and the areas near the airport’s operations. The airport is a natural pole of economic development and is the centre of an important road network that connects the city with the populations and centres of production located in the north-eastern parishes of Quito, strengthening flower exports and generating new jobs and productive activities in the zone. Additionally, Quiport has developed several social programs to benefit the communities surrounding the airport from health and English classes to job database and assistance in creating small enterprises. “Our management is also characterised by a policy of Corporate Social Responsibility which involves all areas of the company, thus we have incorporated this at the core of all levels of management”, states O’Brian. The important results obtained in the management of the airport are evidenced by the 17 awards and recognitions given by the main organisations that work in the air transport and tourism industries. Among these are the World Travel Awards won for two consecutive years in the category of South America’s Leading Airport. At the same time, the success achieved by Corporación Quiport in the opening and operation of the new Mariscal Sucre Airport has attracted the interest of companies and entities involved in the air transport industry. This leadership has resulted in a significant presence of organisations such as the Airports Council International and the American Association of Airport Executives, in which executives of Quiport participate in conferences, workshops and forums to share their experiences.